Are you a small business owner struggling to keep on top of things? Distractions, unrealistic time management, poor task planning and procrastination can all leave you feeling unsuccessful and overwhelmed. There is no single answer or method though and, like many aspects of your business, it takes trial, error and constant review. 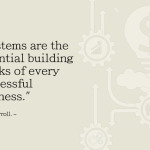 It comes down to creating a simple system to collect and organise your tasks and a good serve of willpower. After all the work isn’t going to do itself. I work on a Mac desktop, Windows laptop and iPad and iPhone and want to see what I need to do at all times. I like a nice clean design with clear navigation – I am a designer so looks count! This includes being able to add colour coded labels to tasks. Adding, editing and organising tasks needs to be quick and easy to do so I don’t get sidetracked. I like a neat list as well as a calendar view. 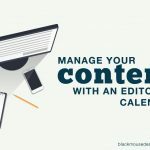 Todoist syncs with my calendars in Google and Calendar (Mac) so I can see daily, weekly, monthly plans. Sharing projects, delegating tasks, discussing things and getting notified when important changes happen is essential. Todoist makes collaboration easy. Step 1 Jot down everything you have to do. Everything becomes a task that will demand some of your time. 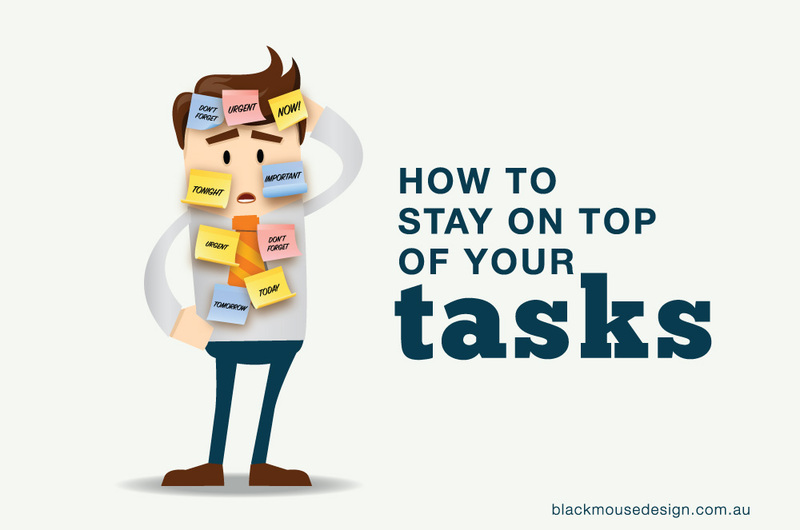 Step 3 Break big tasks down into sub task – even allocate multiple time slots over a series of days to work through a large task that would benefit from some time to process and think about ideas. FAT time (finish all task) Things don’t always go as planned so I allocate FAT time – time to finish all task. I make sure not to schedule every working hour as tasks may take longer than expected. I need catchup time. Add and review A schedule may need to be adjusted through your day and week as tasks come in and need prioritising with the existing work load. The success of my current task management system relies on the use of Google calendar, Rescue Time and Toggl to organise, view, monitor and track time. Rescue Time is a free background time tracker to help keep you aware of how you are using your time across multiple devices. Once it is set up, Rescue Time records how much time you spend in certain programs as well as on web sites, so it can help to keep you accountable. Toggl is an app that works across multiple devices to record the time spent on various tasks. You can then view daily, weekly and monthly reports to show exactly where your time was spent. All you need to do is enter your activity, select a project and then start timing. Once a project is completed and you press the “Stop” button, the time is recorded and placed in the area of the timesheet that will allow you to continue working on the project should you need to make additions. You can also easily edit the start and end time of any activity and then use the reports for billing clients. So empty all those tasks out of your head and create a system that works for you. Combine your task management with an organised filing system for files and emails – harness the full power of technology in order to scale your ability to deal with complex tasks, ultimately leading to greater efficiency and peace of mind. 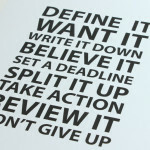 Make your to-do list a tool of fulfillment rather than frustration. 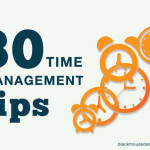 However, it doesn’t matter how many time management tips you gather, there will still be the same twenty-four hours in a day.